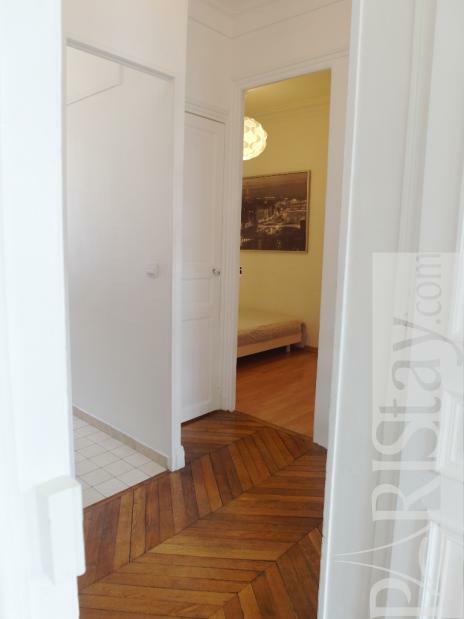 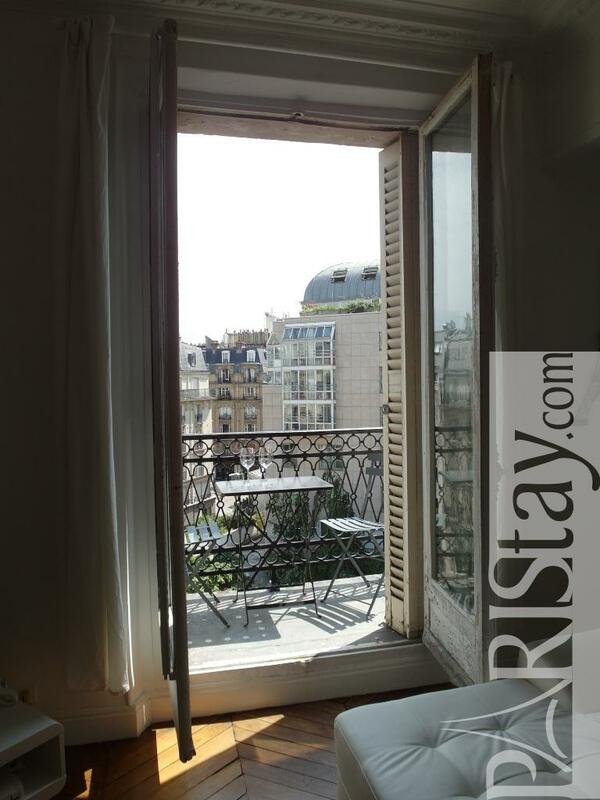 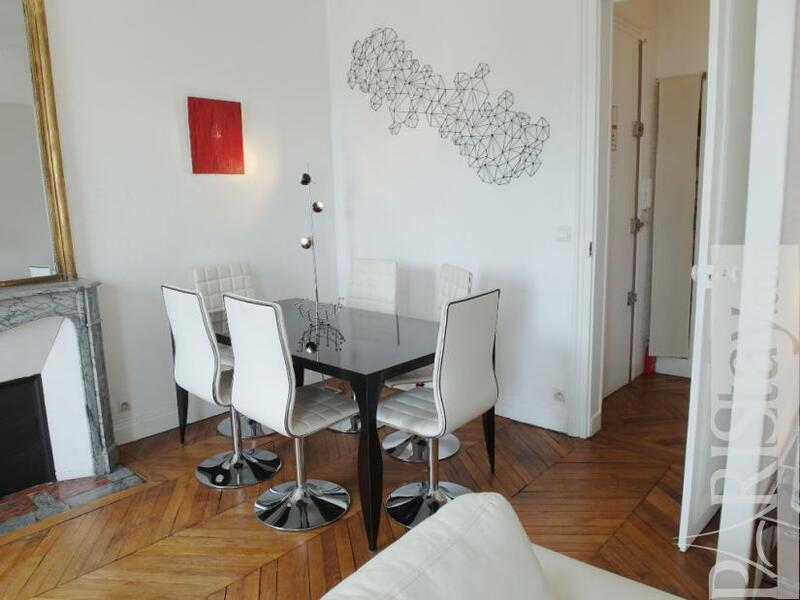 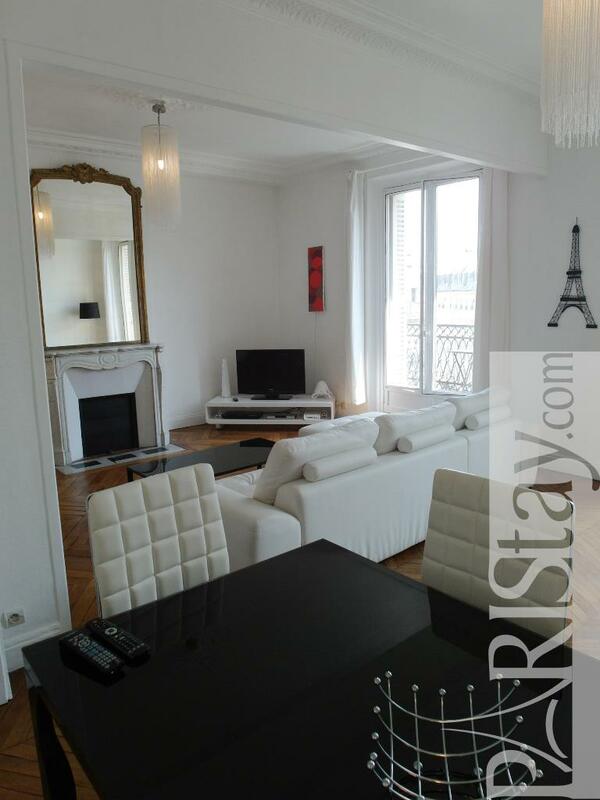 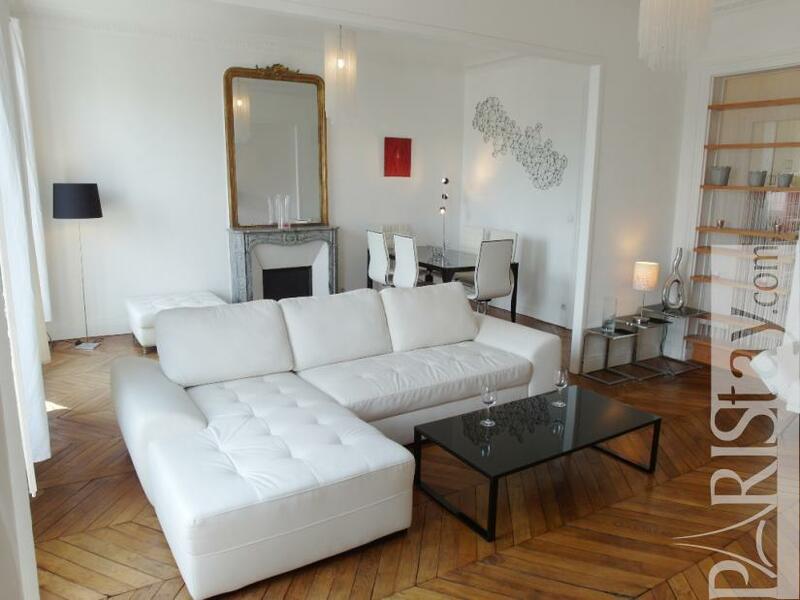 Sunny Paris One bedroom Apartment Rental in the very central 1st arrondissement, next to the lovely and lively Montorgueil area (Shops, trendy bars and restaurants) and 2 steps from Le Louvre, Beaubourg museum, le Marais... 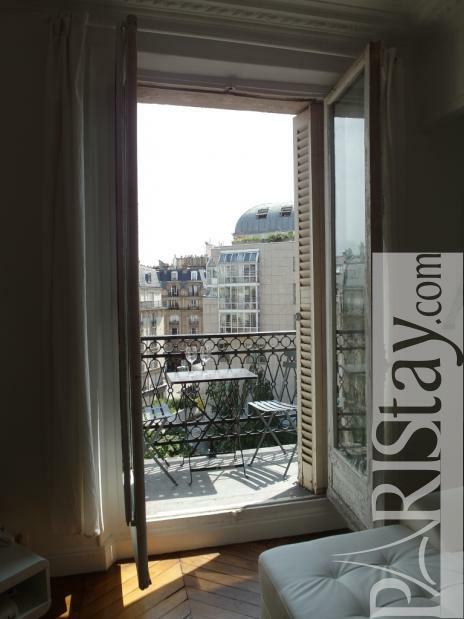 The flat is located in the 5th floor with no lift of a typical parisian building and offers a great balcony open to sky and rooftops. Breakfast time outside if needed! 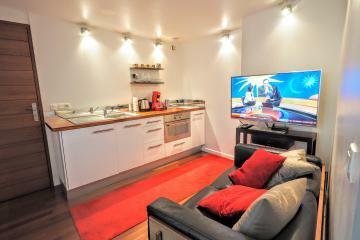 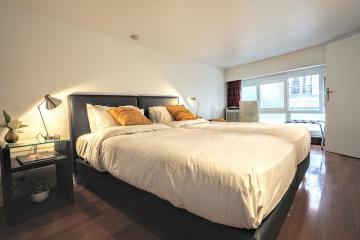 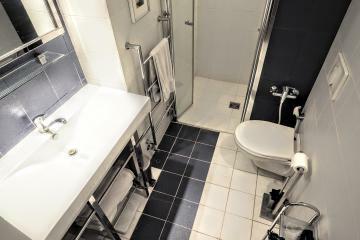 It has been renovated with quality equipement. 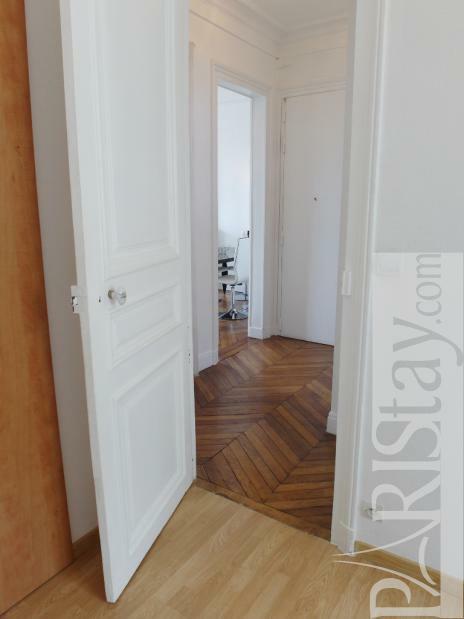 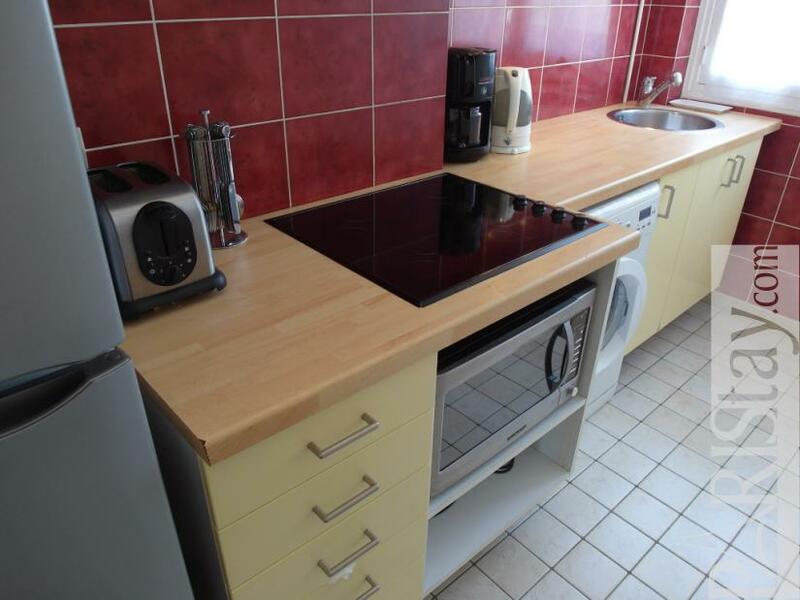 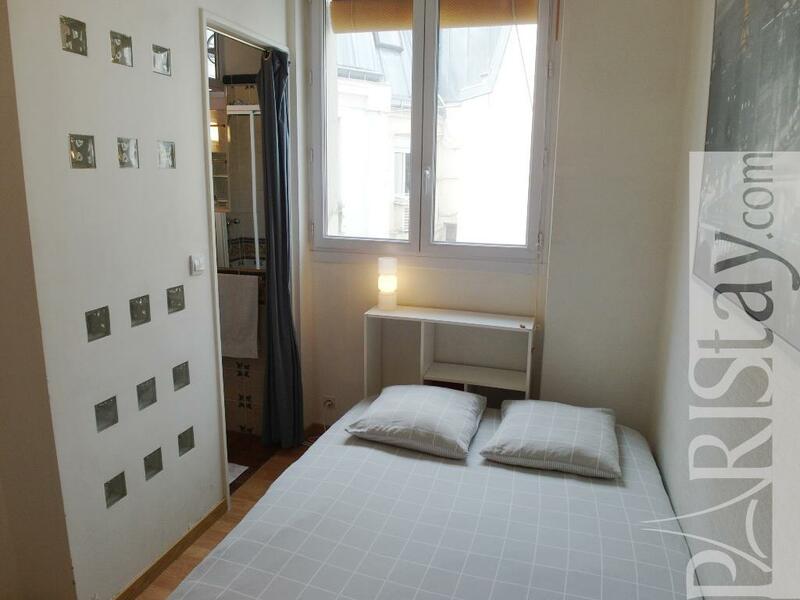 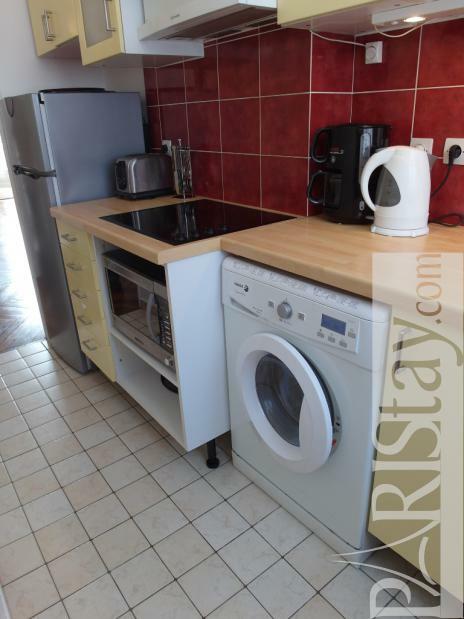 Spacious living room, dining area for 6 people, next to a fully equipped kitchen, cosy bedroom open to the shower room, convenient cupboerds... A perfect place where to stay in Paris! 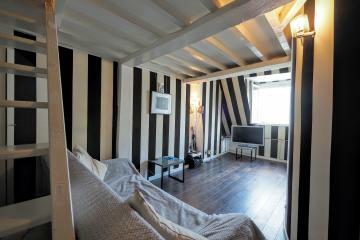 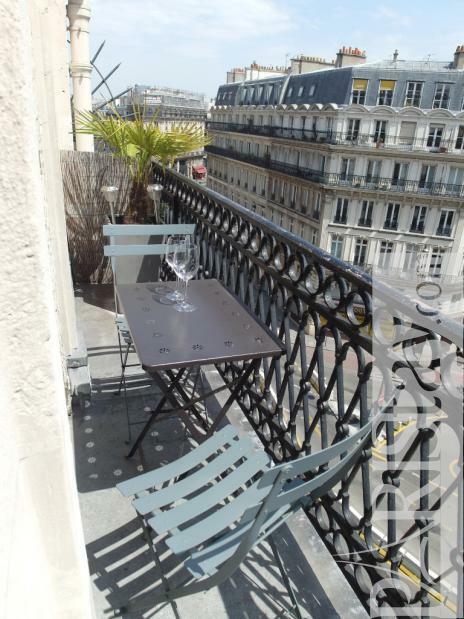 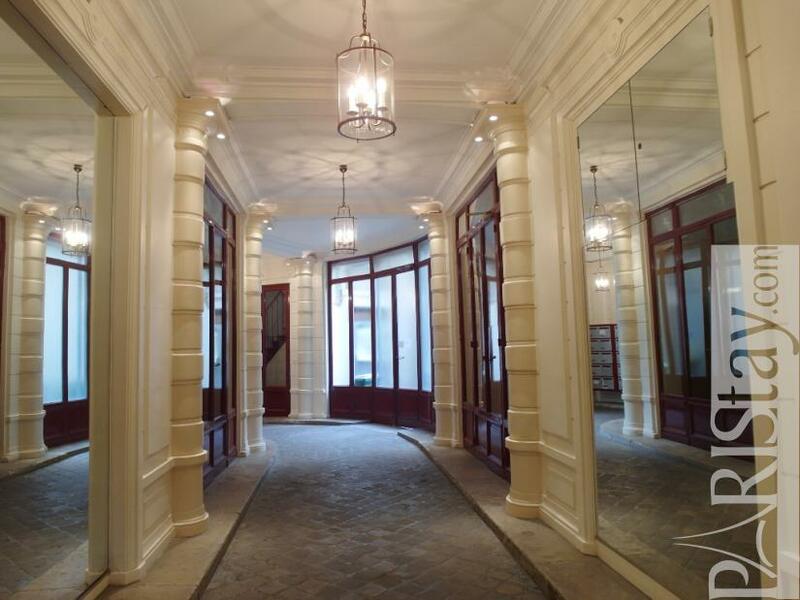 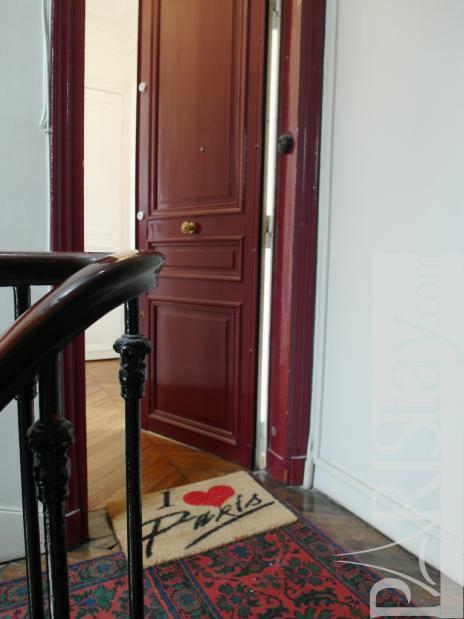 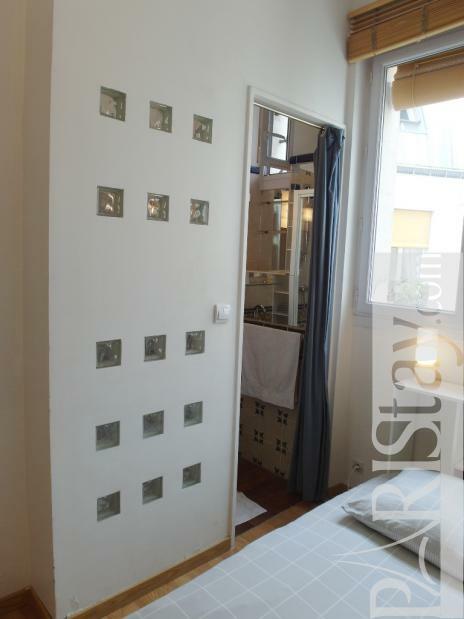 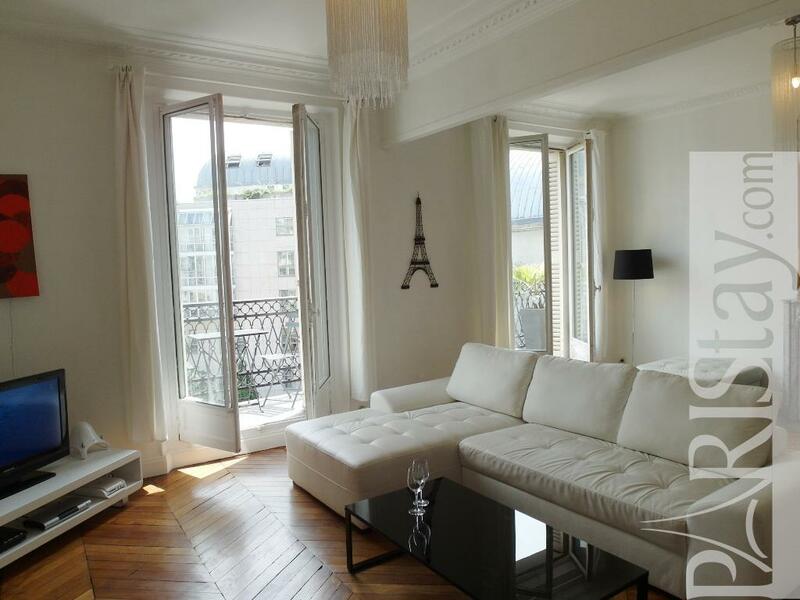 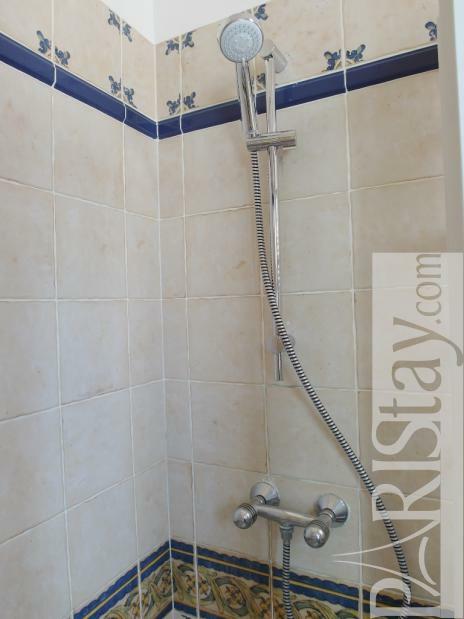 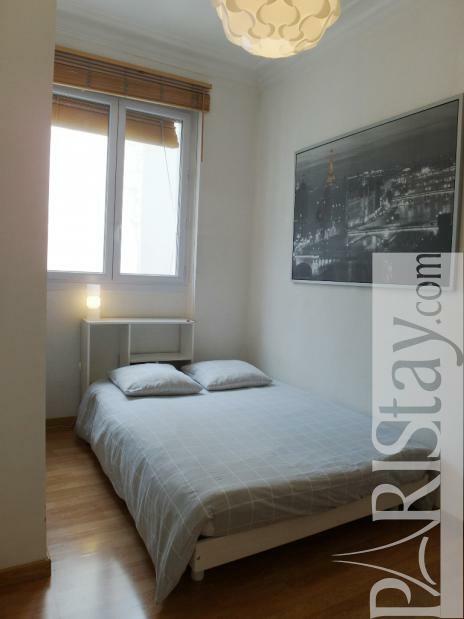 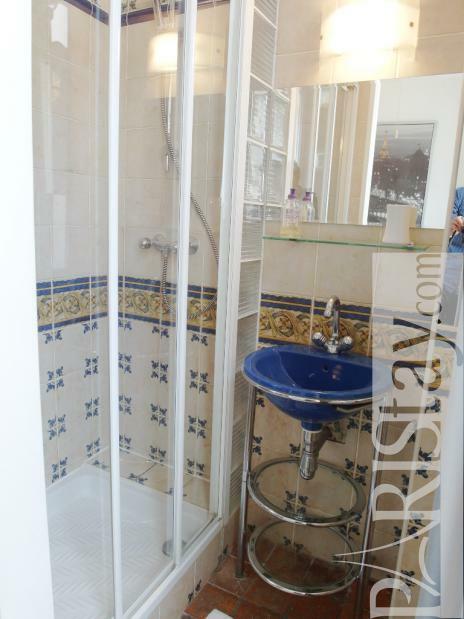 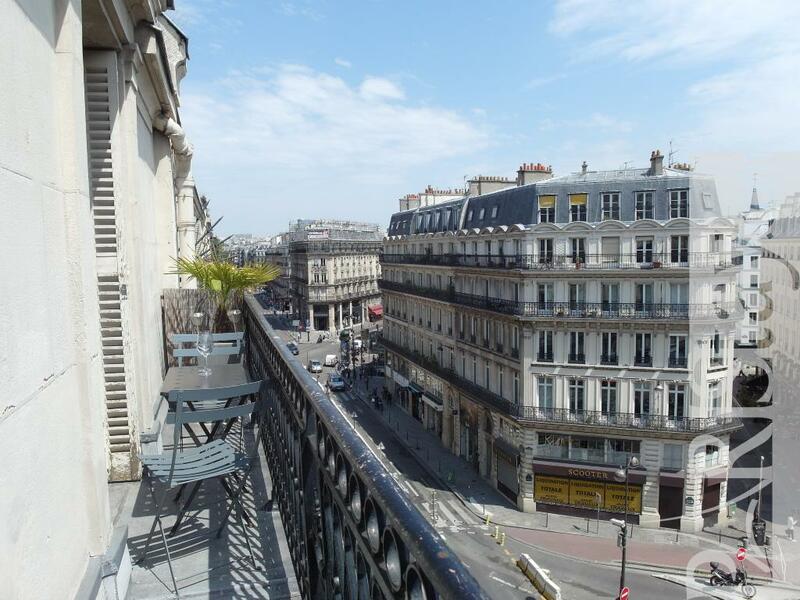 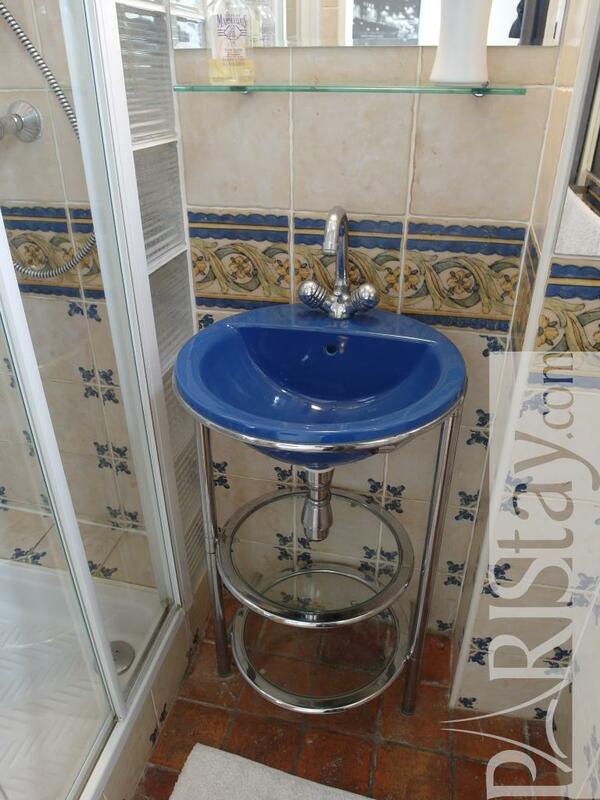 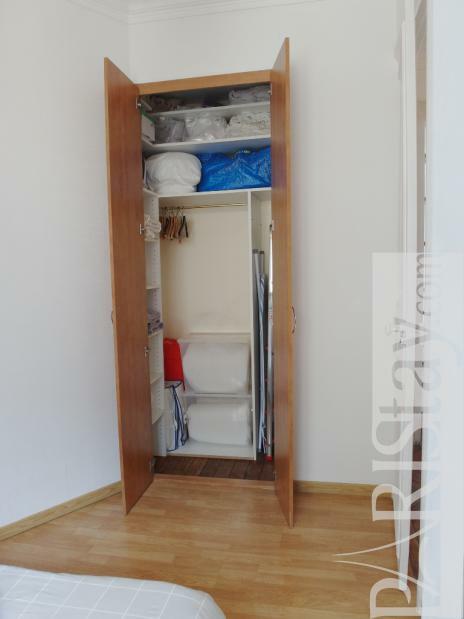 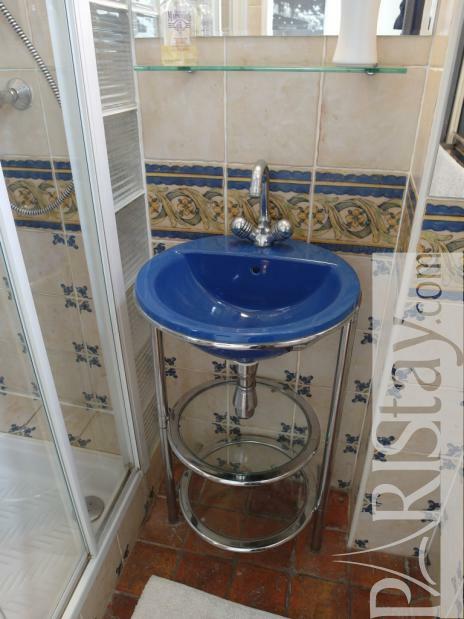 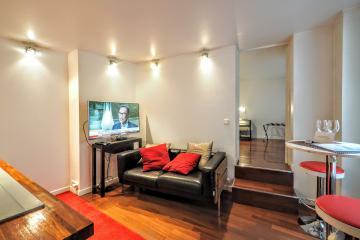 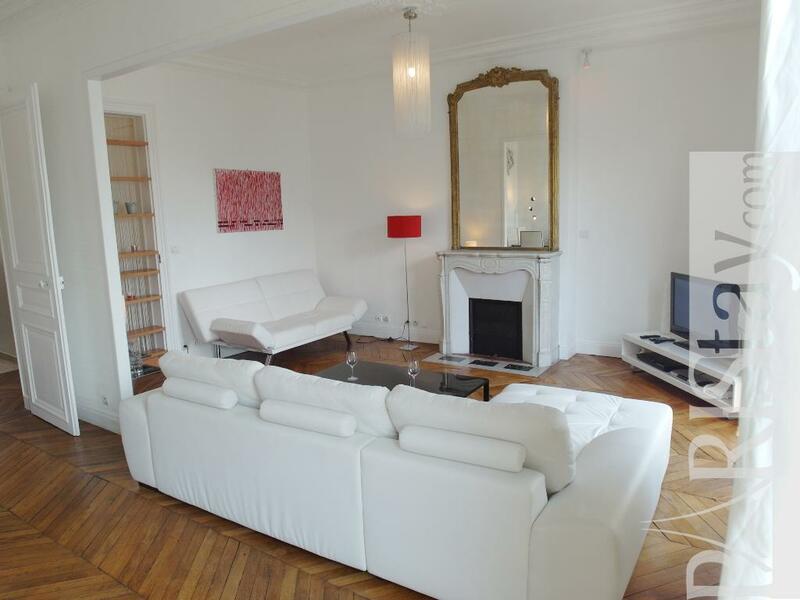 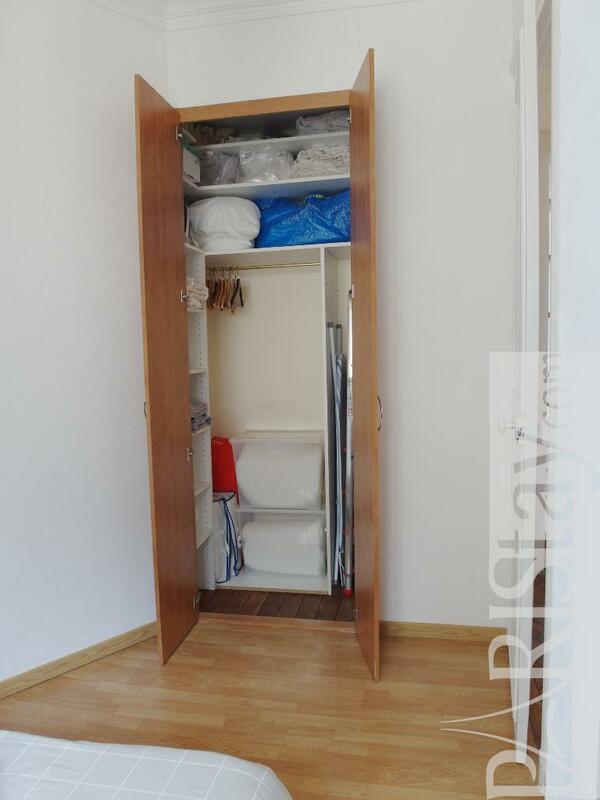 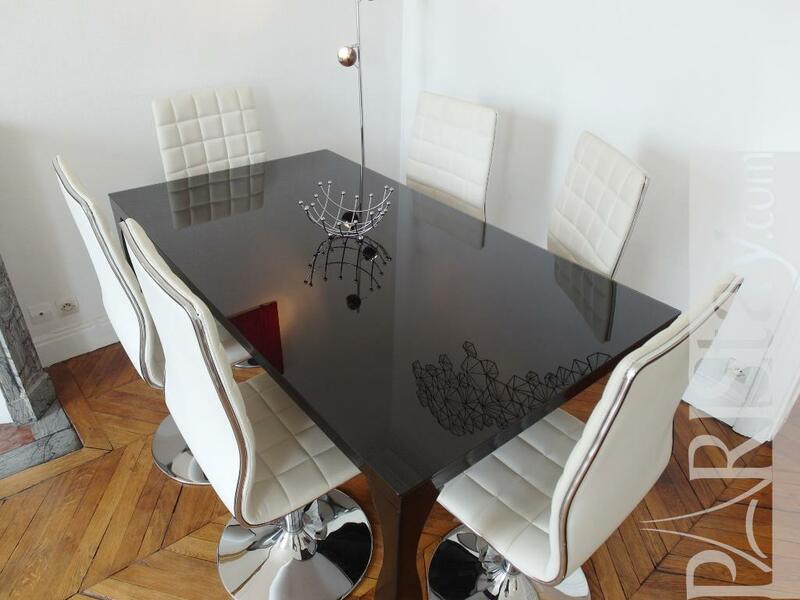 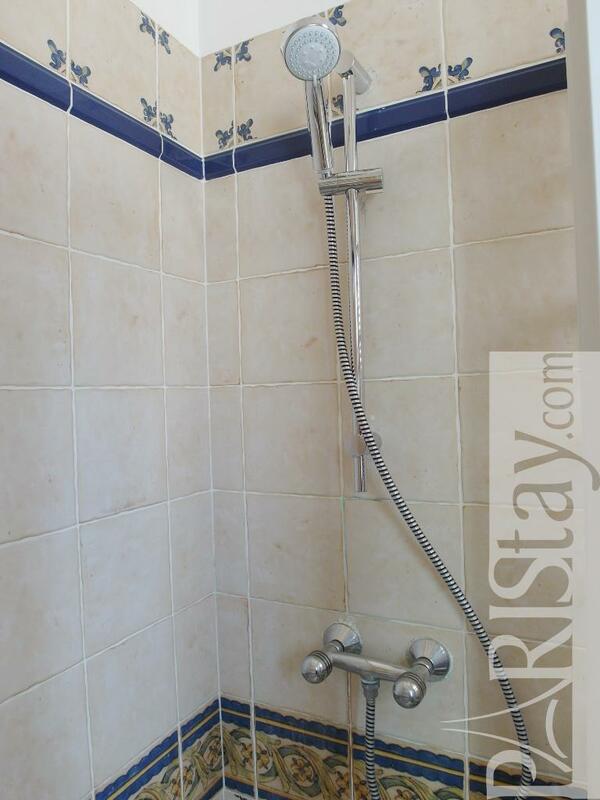 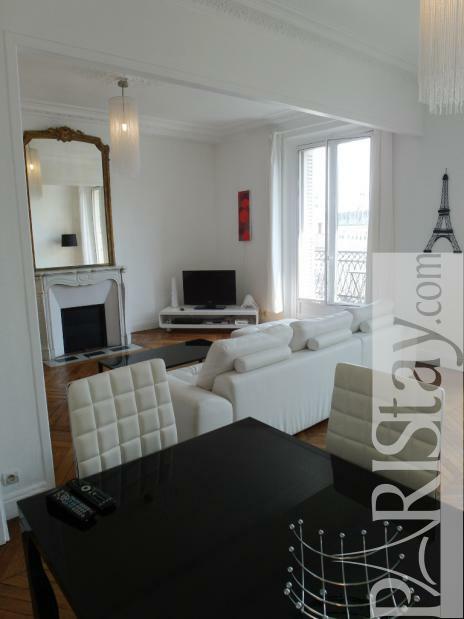 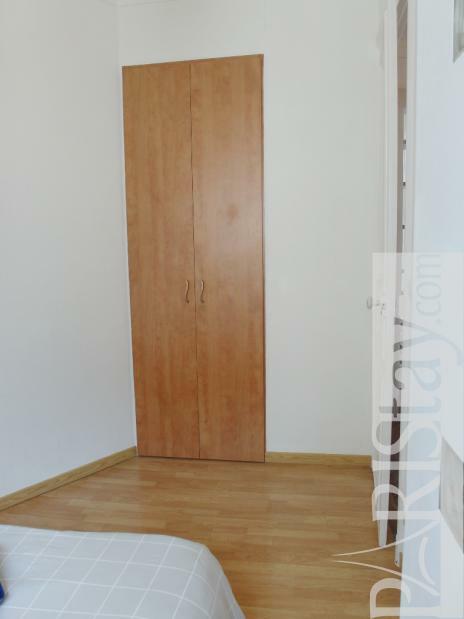 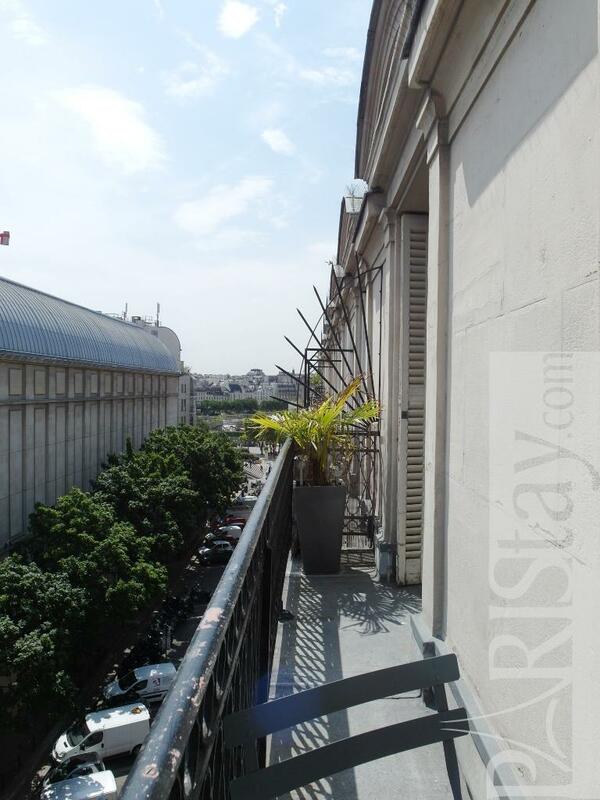 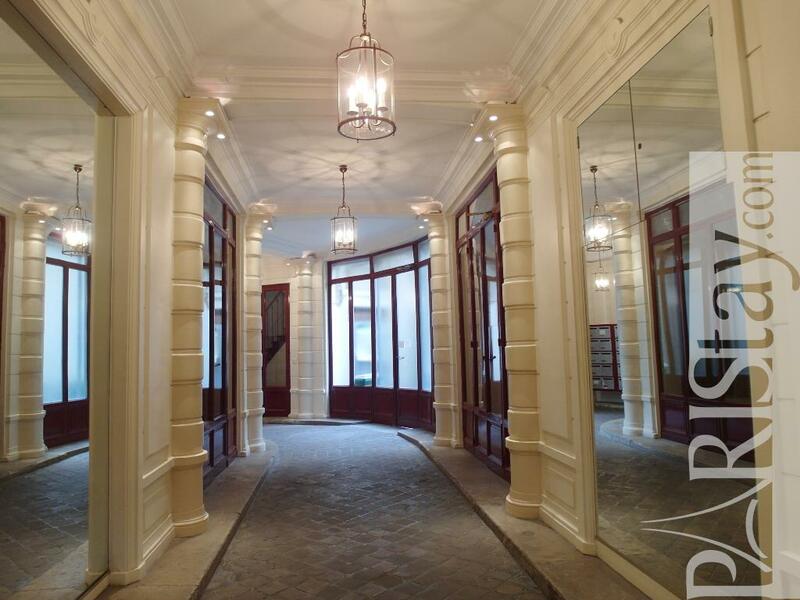 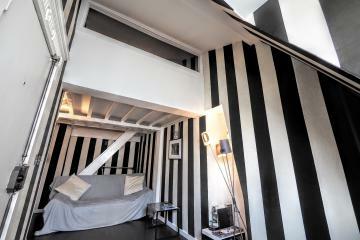 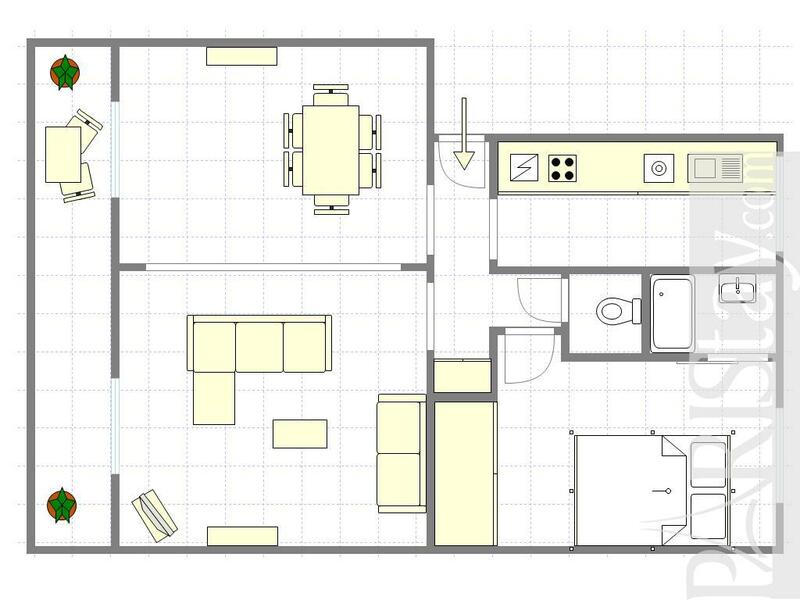 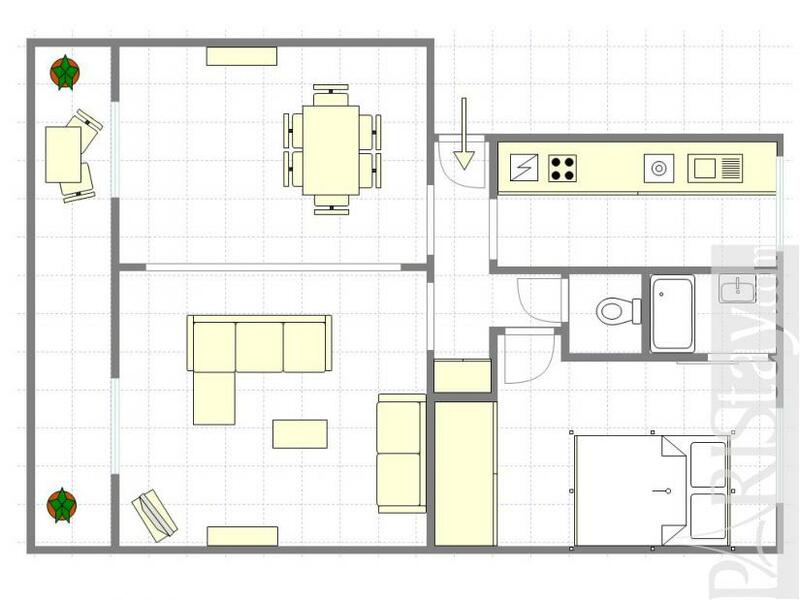 1870's Building, 5 rd floor, without Lift, 1 bedroom Appartement, furnished, Approx: 52m² / 559 Sq.Ft.